If you’ve attempted to grab a sandwich in between classes, take a banana to eat later, or pick up a cookie to eat heading out of SNU Dining this semester, you’ve probably left feeling dejected with no food in hand. Many have found, through both personal experience and tales from others, that SNU Dining has become much stricter when it comes to food leaving the room. Unlike last year, food and drinks cannot leave SNU Dining unless one is already in the process of eating the food they have. This is a hot topic and everyone has an opinion on it, but there is a particular overwhelming response being heard all over campus. “I don’t see a point in it. I think I should I be able to take out food that I’m already paying for,” says sophomore Austin Schoenfeldt. He is not alone. Many wonder what the reasoning is for such strict and sudden rules. Questions pertaining to why it matters and what initiated the big push float around with the previously mentioned opinions. Those who work at SNU Dining have their reasoning, though, and are happy to answer those who question the strictness. Like Makenna mentioned, time is an issue for college students and it creates many other problems. 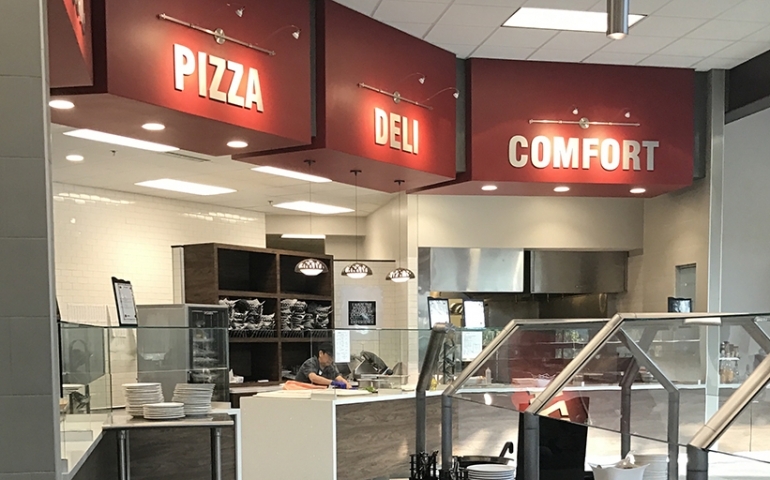 When students don’t have time to sit in SNU Dining and eat, they do one of two things: They will either sneak the food out or simply go without eating. When students do not eat, they will either be hungry (compromising their nutrition) or pay for food elsewhere. However, some students can’t afford to compromise in any way.